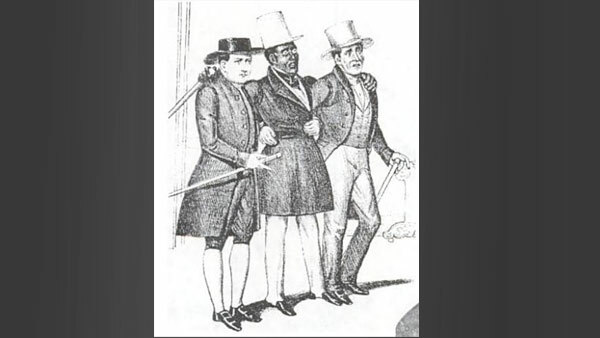 NEW YORK -- A black abolitionist, Brooklynite David Ruggles was a major figure in the American antislavery movement, and the nation's first black journalist. He helped as many as one thousand slaves escape to freedom on the Underground Railroad. Ruggles served as a mentor to many people, including Frederick Douglass whom Ruggles educated about abolitionist matters. Ruggles also served as the leader and secretary of the New York Committee of Vigilance, an organization which sought to protect escaped slaves from being recaptured. Ruggles was successful in other endeavors, running his own grocery store, starting the first black lending library, and serving as editor of the country's first black magazine, The Mirror of Liberty. Later on, he became a doctor of hydrotherapy, treating such patients as Sojourner Truth. Beatings he suffered at a young age and the stress of his life and work took a toll on his health. Ruggles dies in 1949, before reaching his fortieth birthday.